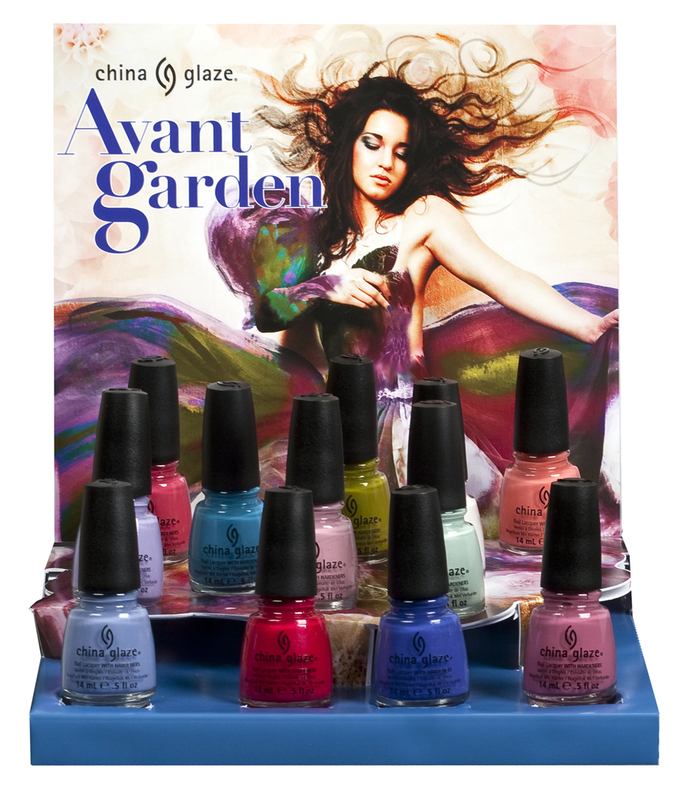 Spring is here and China Glaze is blossoming with vibrant color with its new collection, Avant Garden. The delectable palette flows between soft hues and vibrant pops of color, offering an unconventional bouquet of cheerful and vivid shades. Take a stroll down the China Glaze path, passing a bubbling brook of light and bright blues. Take in the view of the mossy green meadow and stop to enjoy the fragrant flowers of soft pink and white. Let Avant Garden take you away to a playful, romantic field of color and innovation this Spring. China Glaze Avant Garden will be available March 2013. Individual shades retail for $7; 6-piece collections retail for $42.